Another u-turn for Leeds United as Massimo Cellino returns to Chesterfield and agrees a fee for Liam Cooper. Leeds attempted to sign the highly-rated defender earlier in the transfer window but weren’t prepared to meet Chesterfield’s asking price, offering a fee rumoured to be in the region of £350,000 which Chesterfield rejected, demanding a fee closer to £1,000,000. It seems a compromise has been reached however with a deal now agreed for a fee which is being reported as anything from £500,000 to £750,000. Perhaps the display at Millwall opened Massimo’s eyes to how lacking in key areas Leeds United remain and reinforcements for the rest of the positions we remain desperately lacking in will quickly follow. Cooper started his career at Hull City and has made over 100 appearances for the club’s he’s represented to date. The 22-year-old will undergo a medical at Elland Road tomorrow before putting pen to paper and completing the switch. 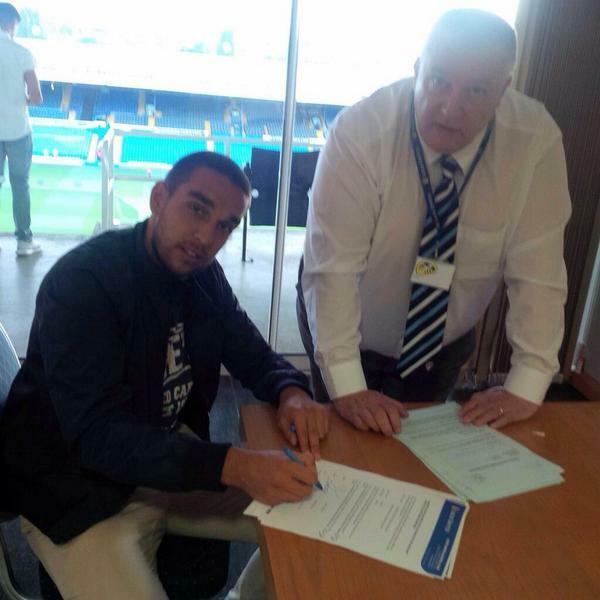 Also today, Leeds United have completed the signing of Giuseppe Bellusci, a 24-year-old Italian defender with a wealth of experience in Serie A. He arrives at Elland Road on a season-long loan deal with a view to a permanent transfer at the end of the season. With defensive reinforcements now in place, one would hope Leeds United’s attention turns to the wide-areas for the width we’ve been lacking for the last two seasons. There’s also the small matter of replacing the Championship’s top goalscorer in 2013/14.